David Kilpatrick, the club historian of the Cosmos, wrote an appeal to the U.S. Soccer Federation board of directors to sanction the North American Soccer League as a Division Two league. The board is meeting in New York City this weekend. At this critical moment in the history of the United States Soccer Federation, I would like to make this appeal to the Board of Directors for reconsideration of a decision that will have long-ranging disastrous consequences: the refusal to sanction the North American Soccer League [NASL] as a second-division league under the Professional League Standards for 2018. Since position determines epistemology, a bit about myself and my unique perspective on this situation. As the club historian of the New York Cosmos, I am responsible for providing institutional memory, preserving authenticity and accuracy in legacy projects, marketing initiatives and community relations, as well as archival and curatorial projects. As someone born in 1968, the year the original NASL was formed, who grew up cheering the Cosmos, this responsibility has been a labor of love. I was taught to play and love the game by my father, who grew up playing the game in rural upstate New York in the late 1950s, where my family’s roots go back to the Colonial era. I mention this as I find it relevant to note my connection with the sport does not match the stereotype of someone with an immigrant father who learned the game on foreign shores, though as a member of the “Pelé Generation,” my exposure to the game benefitted greatly from the explosion of both youth soccer participation and popular interest in the Cosmos and NASL that coincided with my childhood. I have been involved with organized soccer as a player, coach and administrator since 1977 and take a sense of custodianship of the game as a sacred obligation. As an academic, much of my teaching and scholarship has focused on the rich history of the sport in this country, dating back to the first publication of the Laws of the Game here in New York by the Beadle Brothers in 1866. The popular misconceptions that soccer is either “new” or somehow still “foreign” here are addressed in numerous publications, presentations and media appearances I have given domestically and internationally. As an example of my scholarship, I am attaching a published version of “Amnesia and animosity: an assessment of soccer in the States,” originally given as an invited lecture at Oxford University in the week after the last men’s FIFA World Cup finals four years ago. Unfortunately, amnesia and animosity plague the game here now more than ever, prompting this appeal. When I speak about soccer overseas, the single most frequent question I am asked is not, “when will the USA win the World Cup,” but “when will the Cosmos play in the MLS?” The difficulty in explaining how our current Professional League Standards differ from the way the rest of the world’s FIFA member national associations structure their domestic competitions clashes with the widespread goodwill towards the Cosmos’ identity as American soccer’s greatest ambassadors, cultivated by the Cosmos representing United States soccer in international friendly matches played in 48 nations. Over the past five years, when people learn the Cosmos have been competing in this country’s 2nd division, they cannot understand why the club hasn’t earned promotion to the 1st division despite winning a 2nd division league title three times (2013, 2015, 2016). If failure to understand how winning a 2nd division doesn’t earn promotion to a 1st division has proven a popular talking point, how then can one explain an entire league being relegated from 2nd division to 3rd division status? This gives a sporting twist to American exceptionalism that should be a source of shame in a nation that prides itself as a meritocracy. FIFA’s mandate on Sporting Integrity, which states that a “club’s entitlement to take part in a domestic league championship shall depend principally on sporting merit,” is in gross violation with the current USSF Professional League Standards. The numerous exceptions that have been granted to leagues since the Professional League Standards were introduced in 2010 ought to provoke scrutiny of the Professional League Standards Task Force, whose recommendations have consistently failed to help the USSF deliver on its stated Mission to “make soccer, in all its forms, a preeminent sport in the United States and to continue the development of soccer at all recreational and competitive levels.” Rather than helping this country’s most fabled and internationally renowned soccer club thrive, the USSF has been indifferent at best to the Cosmos’ mission and, at worst, has been both obstructive and destructive towards efforts by the club and the league in which it plays to grow interest in the game. 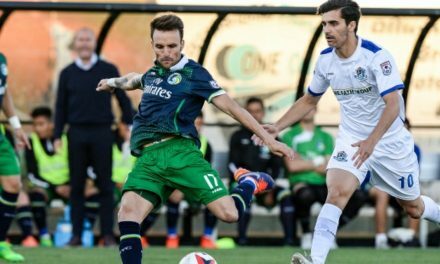 To compete in accordance with the club’s legacy, the Cosmos must attract high-quality players, coaches and corporate sponsors. 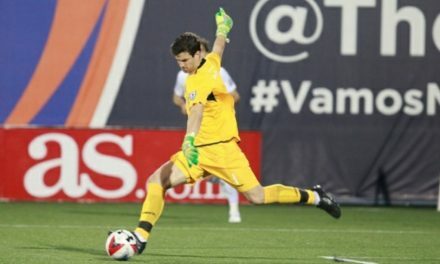 Since returning to competitive play in the NASL in 2013, the Cosmos have featured globally renowned stars such as Marcos Senna and Raúl, as well as talented young American players such as Haji Wright and Eric Calvillo. The recent signing of former Cosmos coaches by the Portland Timbers is testimony to the quality of their work with this club and is evident in the three NASL titles won in the past five seasons. One of the attractions to such talents, despite the club competing in a league sanctioned as 2nd division, has been the opportunity to join with and add to the legacy of a club that featured superstars such as Carlos Alberto, Franz Beckenbauer, Giorgio Chinaglia and Pelé, as well as domestic legends such as Rick Davis, Shep Messing, Werner Roth and Bob Smith. But how can such a legacy be upheld when not just the club but its league faces the threat of relegation to the 3rd division? To avoid “relegation” by default if the NASL and its teams are demoted to 3rd division or non-sanctioned status, and achieve “promotion” within the current Professional League Standards would require “altering the legal form or company structure” of the club, which would be another violation of FIFA’s clear Statute on Sporting Integrity. 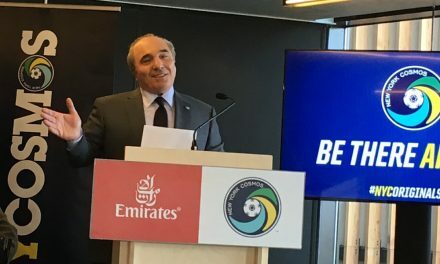 The USSF Board of Directors “can’t be an organization that focuses only on some members,” and should not just be a “rubber stamp,” as Director Carlos Cordeiro recently confessed. This forthcoming Board of Directors meeting is an opportunity to right wrongs, rather than reinforce them with this rubber stamp. Please reconsider the decision to deny the NASL 2nd division status and help the USSF deliver on its mission to make soccer the preeminent sport in this country. We should be enjoying our team playing in this year’s FIFA World Cup as we celebrate the 50th anniversary of the NASL, not wondering why the team failed and why the USSF would take action that makes a league and its clubs fail with their missions to grow the game. If my experience and expertise may be of use in any way as we work to achieve this mission, I am available at your convenience.